MILWAUKEE – January 24, 2019 – Jason Buol has joined Associated Bank as senior vice president, team leader and senior portfolio manager, Private Client and Institutional Services. He is responsible for leading the southern region portfolio management team that includes Milwaukee and Madison as well as Chicago and Rockford, Illinois. Buol will also participate in the development and implementation of investment strategies used by portfolio managers across the bank. Buol brings more than 15 years of investment experience to Associated Bank. Previously, he served as director of investment management at First National Bank of Omaha where he was responsible for creating investment portfolios and implementing and executing investment strategies. Before that, he served as chief economist and research analyst at Private Asset Management, a San Diego-based investment firm managing more than $800 million. He also worked as a senior research associate at the Federal Reserve Bank of St. Louis. Buol studied economics and holds a master’s degree from University of Missouri-Saint Louis and a bachelor’s degree from University of Wisconsin-Madison. 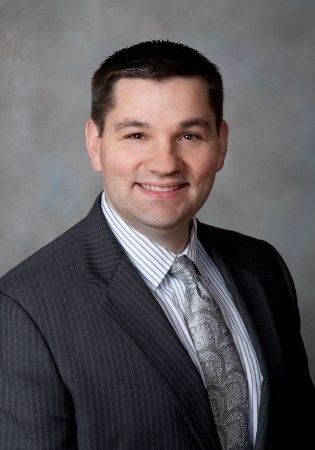 In the community, he served as a scholarship committee member for the Community Foundation of the Fox River Valley and is also a member of the CFA Society of Milwaukee. He is located at 815 N. Water St.